If you’re a developer making a shooter, you’re either thinking about how to adopt battle royale or how to make your game battle royale-proof. No such dilemma for Chinese PC and mobile game publisher NetEase. It’s always been full-on battle royale, as demonstrated by releases ranging from Japanese mega-hit Knives Out to Rules of Survival, FortCraft and Survivor Royale. And it’s not stopping any time soon either. Its latest game in the genre - working title Disorder - was unveiled at GDC 2019. A team-based third-person experience that sees 20 teams of five players fighting it out for control of a nuclear missile on an island set in an apocalyptic world of failed states, armed factions and the undead, the mood is akin to a supernatural Metal Gear Solid, albeit it with less sneaking and more action. We caught up with producer TU Yimin over email to find out more about the inspiration behind the game and its plans to stand out in an already crowded market. PocketGamer.biz: Given NetEase’s success to-date with mobile battle royale games, why did you think there was an opportunity for another game of this type? TU Yimin From the explosive popularity of battle royale games in recent years, we saw that there was huge potential to iterate and improve the shooter genre for mobile. While others have tried, the gaming experience in this genre is still not sufficient, especially on mobile platforms. Though the giants of our industry have released their shooter titles, there is still significant room for us to make new improvements and content. With this in mind, Disorder has been created to provide a greater shooting game experience on mobile platforms. In terms of the setting, you’ve gone for a gritty apocalyptic theme, which is very different to the contemporary style of many battle royale games. Why do you think this will appeal to players? Disorder is set in 2030 when war rages worldwide. In the game, a PMC (private military company) has controlled the battles worldwide and most people become victims of war. The most common job is that of an army soldier and everyone has adapted to living life on the edge of death. We’re particular fans of this type of setting and think that the environment helps us tell our story. Why have you designed Disorder around team-based gameplay? We believe that interaction between players helps make for a more dynamic game which gives players an enriched experience. With our gameplay, we believe amazing surprises can happen among players. What’s more, when players step into this war, we hope that they can fight with companions rather than face it alone. Why did you consider five to be the perfect team size and can you go into any detail about if you have multiple character classes to enable team-play? From what’s been released about the game so far, it shows that a player can try to achieve their target with four teammates. But this could be only for one map. So far, we’ve shared four characters from different factions. We allow players to form a team consisting of characters from different factions. As to why they can align themselves with each other despite their backgrounds, we will explain that later. How will you be enabling team communication or do you expect many players will play Disorder in the same physical location? Playing together in the same physical location isn’t possible for everyone, so we put great effort into online communication. We hope to provide a system which is more comprehensive and a step up from mere voice chatting. It is one of our priorities as we develop the game. How long will each battle take? For mobile games, the length of one single battle is shorter than that of a console or PC shooter, though, we didn’t want the length to be too short, otherwise players cannot fully enjoy the gameplay. Therefore, we decided that each battle should last 10 to 20 minutes, but the time could vary depending on the players’ choice of strategies. During development, what has been the key vision for the game and do you feel you’ve fulfilled that vision? We hope that through Disorder players get to know that a shooting game is not only about Rush B [tactics] or battle royale games, but also about a diversified, immersive experience. But right now I can’t tell you that much about this, because the answer is in the game itself and players will find that after they play it. Can you talk about your plans in terms of monetisation or your approach to esports? Currently we are still fully occupied in creating and polishing gameplay. We hope to first ensure a great game experience before turning to other aspects. 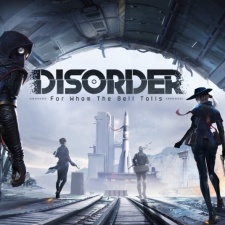 Disorder will launch sometime in 2019 and players can pre-register now via the website. NetEase vice president Ken Li will be a speaker at Pocket Gamer Connects Seattle, which takes place on May 13th to 14th.